Strategically target the press by creating custom lists to elevate your communications campaigns as your news stories cross the wire. As every marketing professional knows, speed is key to getting your message out to your audience. Instantaneous access to the most important journalists in your market. We provide detailed profiles for every media contact – including name, publication and email address – to help you tailor your pitch to maximize interest for each journalist. 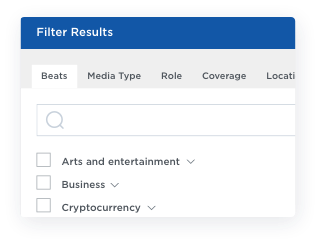 Easily manage and organize your custom media lists in your member panel. 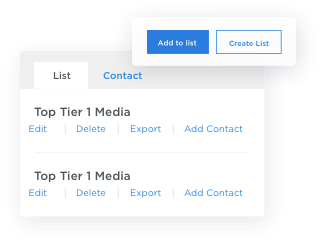 Edit, merge and split your lists for a personalized approach for your pitches. Review published articles based on the recent content published by the media contact to help find relevant points to include in your pitch. Easily export *full contact information for the freedom to manage your campaign effectively with your own marketing systems. Simple campaign tracking features and analytics help you assess the effectiveness of each pitch, with detailed listings of open rates and click rates. 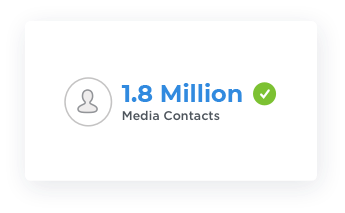 Send personalized media pitches to your targeted list. Newswire provides customizable templates that help format your pitch to truly stand out from the crowd.